Sign Up for monthly inspirations, yoga updates, Ayurvedic recipes, videos, FREE meditations and more. Yoga transformed my life when I started more than 15 years ago. It has helped me ever since, to catch myself when I fall, and encouraged me to even greater heights when I fly. Even better, I have seen the yogic path transform many of my students and other yogis to fulfil their life’s potential also; to dream big; and dare follow their dharma. Connect with your Dreams: 15-22 April’17 in Bali. You can also join my regular classes in Sydney or check out my growing online studio for FREE yoga classes and more. To be the first one to know what’s coming up and enjoy monthly FREEbies, inspiration and more Sign Up to our yoga newsletter today. You can also book in for private yoga classes or a basic Ayurvedic consultation by shooting me an email. Laugh and cry with us by strolling through our blog, our background story or our Moody 425, the first boat we sailed and lived on in the Med for several years. In 2009, 2010 we got married, 2011 our first son was born. In 2012 kept on saving. 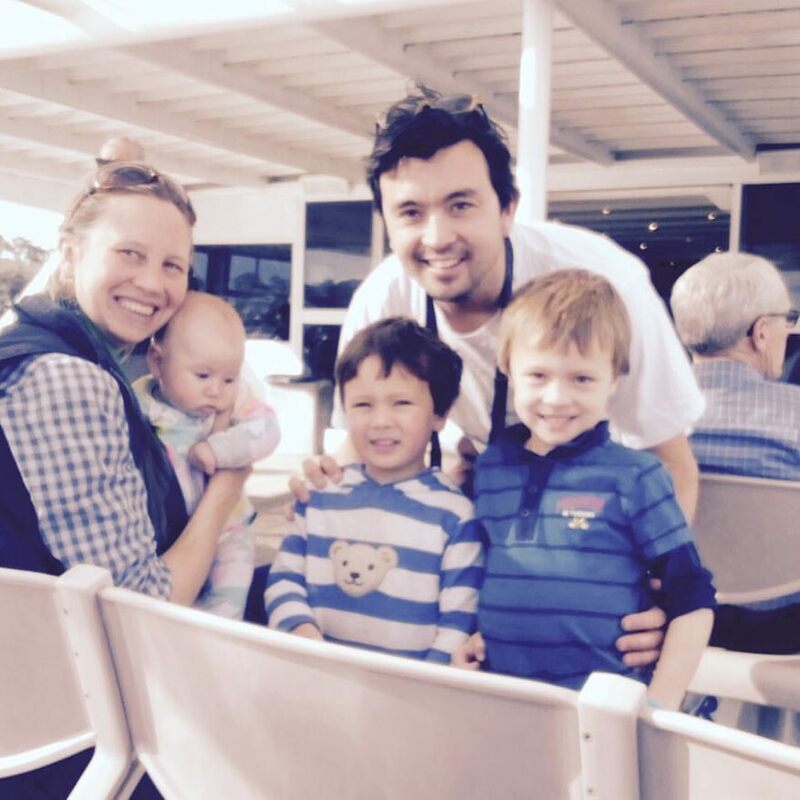 In 2013, three months after our second son was born, we left Sydney and spent six months in a motorhome, looking for our boat in hundreds of Mediterranean ports. 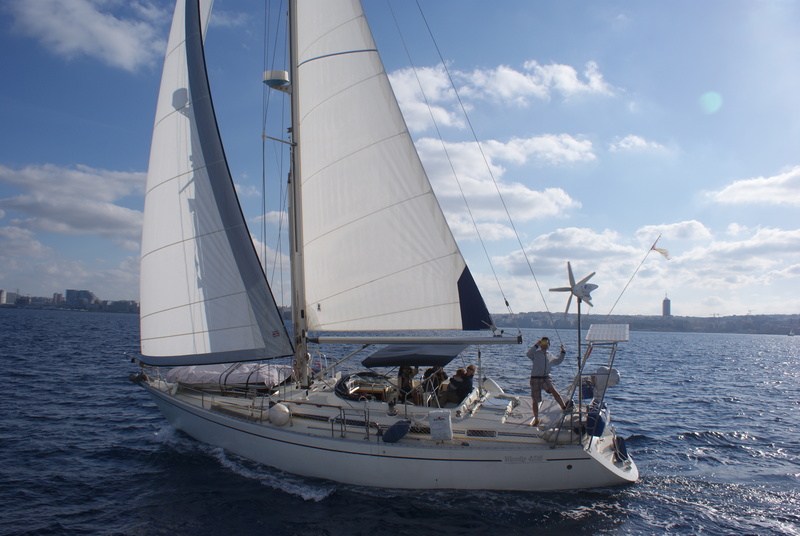 In 2014 we sailed from Greece (Peloponnese & Ionian), to Sicily and Malta where we spent the winter working. sailing break back in Sydney, Australia, due to baby #3.Find out more about who we are and what drives us, check out some of our videos or listen to one of our most recent radio interviews. In brief, there’s Dini – international yogini, avid sailor, motivational speaker and Ayurvedic practitioner. The idealist and dreamer. Pablo – daddy, the bread-winner and grounding force of our family. And of course the sweetest chaos on earth – Noah, Gael and India, born in 2011, 2013 and 2016 respectively, keeping us busy, life beautiful, full-on and more interesting. Teaching us to live in the moment. Reminding us to walk our talk, every minute of every day. And more than anything keeping the opportunity of dreaming widely open, real and alive.